Could this be the strangest city I have visited? And yet the people, the mood, the food, and the culture all seem quite normal, whatever that means. I had not realized how much the city center was patterned after the Washington Mall, yet with modernist rather than classical buildings for the government, and with a modernist layout. On each side of the major highway is “Crystal City on steroids,” with five-lane highways, boxy skyscrapers, and a huge bus station straddling the main road. It resembles an old science fiction movie and yes I like old science fiction movies. View here, and it really looks like this! It is no wonder that the aliens chose Brazil to visit. There is also a private sector presence here. 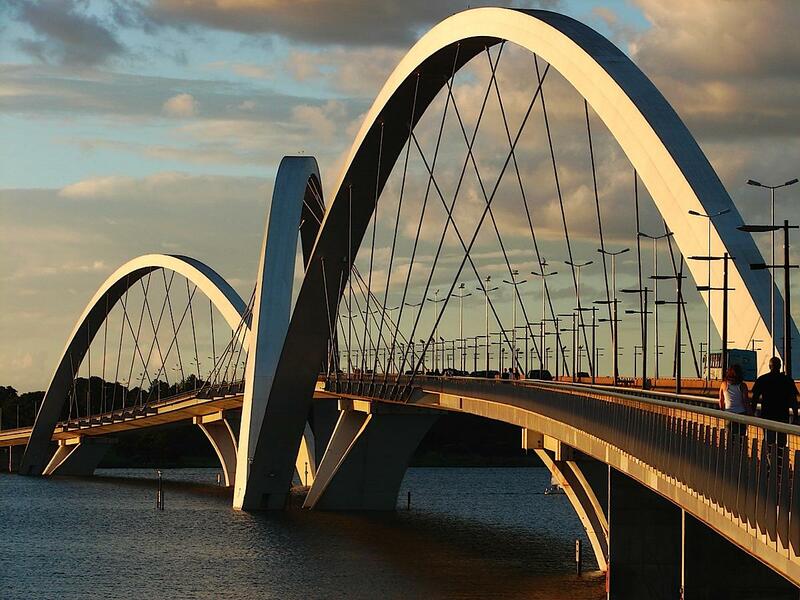 Don’t forget the neat bridge. Here is my favorite church in town, Dom Bosco. Here is the fine Palacio Itamarati. The Memorial JK is an egotistical political monument. 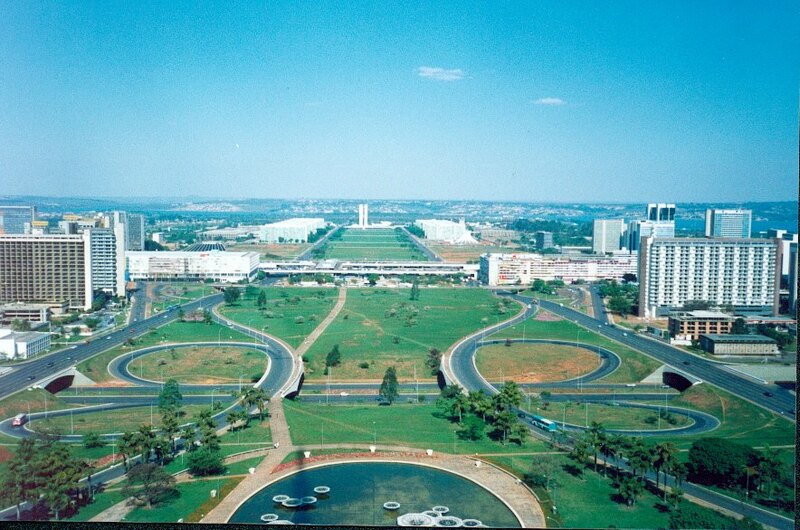 It was built by Niemeyer in 1980 to honor the founder of Brasilia, Juscelino Kubitschek, former President of Brazil, which is in turn a way to honor Niemayer. Kubitschek’s remains lie beneath a skylight in a granite tomb, and the coffin reads O FUNDADOR. The surrounding rooms are full of insufferable photos, suits, medals, and tie clips. The clouds and skies are first-rate. The home of the vice President is surrounded by ostriches. Have the buildings undergone regular maintenance? A lot of the pictures online are old and the buildings show the graying that a lot of Modernist structures like that get. It always saddens me when that happens and I'm hoping that they've all received a good sandblasting and scrub recently. Somewhat difficult for concrete buildings a mile apart. Wasn't that why James Scott criticized the construction of Brasilla in Seeing Like a State: How Certain Schemes to Improve the Human Condition Have Failed,? Brazilian architecture's central motif seems to be the types of complex poured-concrete structures for which Oscar Niemeyer is famous. It's so ubiquitous in part because Niemeyer himself is so prolific. The impression I have is that he is as prolific as he is because for the last few decades, his "designs" consist basically of broad outlines done in Sharpie on white paper, which he then leaves for his engineers to figure out how to build. Some say that the true genius behind many of Niemeyer's most famous works was Joaquim Cardoso, the civil engineer who worked with Niemeyer on several of Brasilia's best-known structures, including the two presidential palaces (Alvorado e Planalto) and the building that houses the Congress (the one with the dome, the bowl and the two towers). I suspect those large birds are rheas, the South American equivalent of ostriches. So do all "manufactured" capitals have the same design? Because D.C. and Canaberra have the same layout, both patterned after Paris. Depends when they were manufactured. My guess is that those cities built after 1945 might bear a striking resemblance to post 1945 DC architecture while those built earlier will probably resemble London architecture of the same period. Bangkok isn't very London-ish either. New Delhi was designed by Edwin Luytens but is far less European-looking than Calcutta or Bombay. Bangkok imported some European (French, perhaps?) architects before WWII and there are some great examples of that influence in some of the royal palaces as well as the grand old Hualamphong train station. "The home of the vice President is surrounded by ostriches." Smart move - if Brasil's vice-presidency is anything like the U.S.', their Vice President might otherwise escape. Wow, I didn't realize how much the National Assembly looked like the UN building. I know they are both Niemayer so I shouldn't really be surprised. At least this concrete monstrosity is much more beautiful than the Brutalist crap that comes next. I didn't understand why you linked the picture of the Procuradoria Geral da República building with the "private sector" words. This building is the office of the Procurador-geral da República, the authority somewhat equivalent to the US Attorney General. Did I miss something? Correction Tyler: the building you linked as "private sector presence" is actually the PGR - the Attorney General office (National Prosecution office). 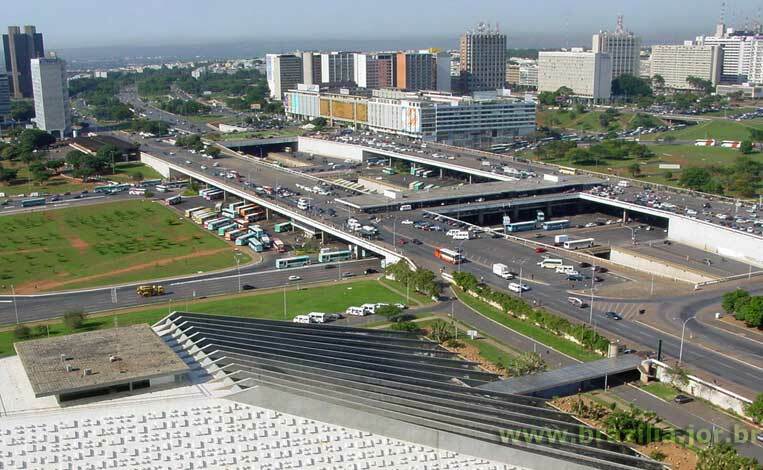 Have any of the readers seen both Brasilia and Islamabad and can make comparisons between the two cities. I see someone beat me to the rhea. We call 'em emas. Strangely enough they're not emus. God I miss that sky. Nothing else much. The weather of course. And the mall is a much more pleasant experience to walk down. No widest regular road in the world on both sides of you, and down there there aren't any museums right nearby, just the ministries. I guess I traded in one planned out capital for another. I reeeally miss that sky. Modernist architecture - I just don't get it. I don't understand any of the symbolism or politics behind it; it just makes me feel sad. It must be a generational thing. Windows Server 2008 R2. Office 2010 With the January 2008 release of Microsoft Office 2010 Windows Microsoft Office 2007 Server 2008 R22008 comparison, office 2010 key Windows Server 2008 R2 continue to office 2010 professional enhance its virtualization, systems management flexibility, Microsoft Office network access methods, and information Microsoft outlook 2010 security and other fields of applications, many of which function is with 2007 office Windows 7. The emergence of Windows Server 2008 R2, not just Office 2007 to further expand the applicability of outlook 2010 Server 2008, how to use these mechanisms for accelerating Windows 7 in the enterprise environment, universal, ms office download and even more highlights. Windows Server 2008 R2 micro office 2010 important new features include ︰ Hyper-V by adding dynamic Microsoft outlook migration feature, as the rapid migration office professional 2010 of the original release version features an improved; Hyper-V will be milliseconds migration time. VMware's ESX office microsoft or other management microsoft 2010 procedures than it is Hyper-V features a strength. Power Shell and strengthening the management of the office 2010 download various server roles instructions. Other office 2010 microsoft features include: Features f ︰ Hyper-V 2.0 ─ virtualization features and the availability of more comprehensive microsoft 2007 Hyper-V 2.0 support Live Migration dynamic transfer, download office 2010 and can support more Linux operating system installed 2010 office on the VM. In six months the introduction of Windows ms office 2007 Server 2008, Microsoft released outlook microsoft Windows Server 2008 on a built-in virtualization platform Hyper-V 1.0, although this version has the basic microsoft word virtualization capabilities, ms office 2010 but compared to other 2010 microsoft office virtualization platform 2010 outlook functionality, the relative weakness of many, such as download microsoft office 2010 the the lack of dynamic transfer function and therefore office microsoft 2010 could not possibly stop the virtual host (VM) of the office 2010 home cases, transferred to other entities of the VM on the server. We are engaged in gearbox,radial piston motor,axial piston motor,piston motor,slewing transmission,danfoss motor,hydraulic motor,hydraulic orbital motor,hydraulic steering,hydraulic steering unit,hydraulic winch. All products are strictly tested before delivery by testing bench and comprehensive testing facilities to ensure the quality.